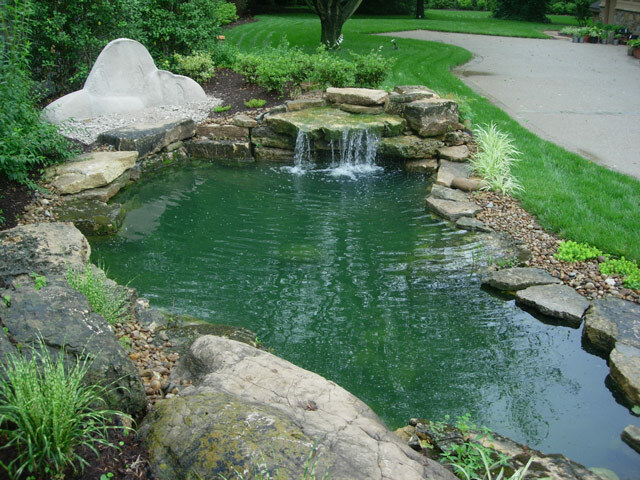 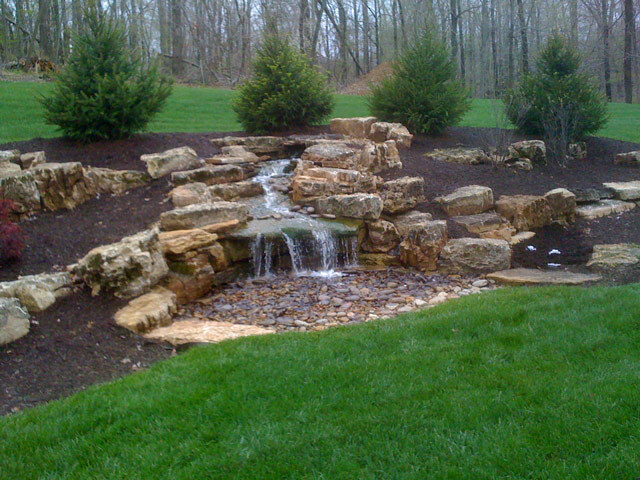 Aching Acres is a specialist in designing and installing natural, pondless water features such as waterfalls, bubble rocks and even wading pools. 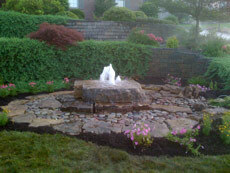 We can assess your landscape and design a custom water feature adding character and natural beauty to your landscaping. 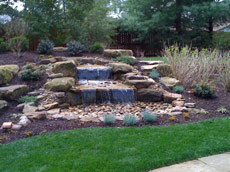 A free flowing, pondless water feature in your yard will add a beautiful and soothing element to your home and landscape. 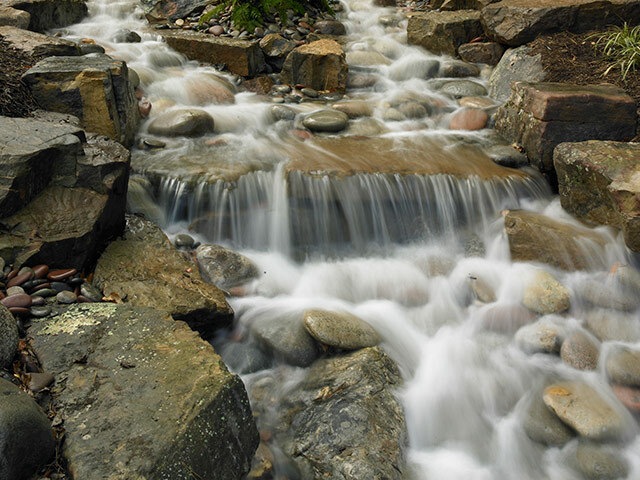 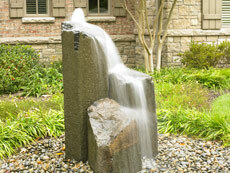 Enjoy the sights and sounds of gentle flowing water as you relax in your yard. 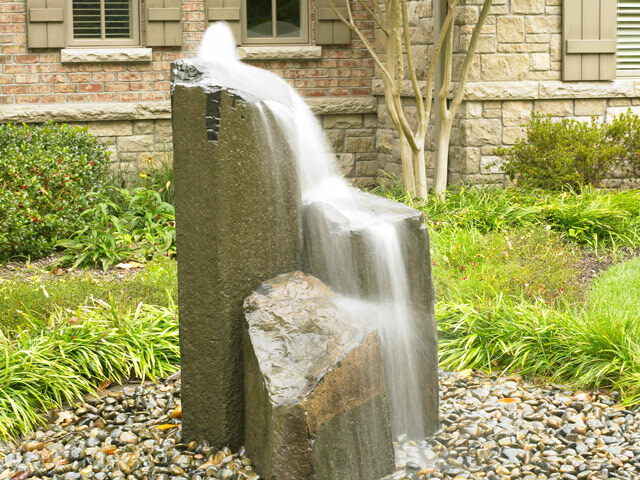 Our water features are built from a base of completely natural stone. 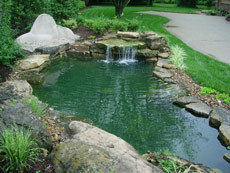 You won't find any plastic ponds in our landscapes. 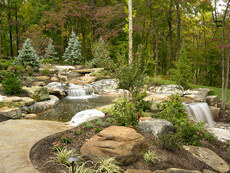 Check out our page on natural stone landscaping for more information. 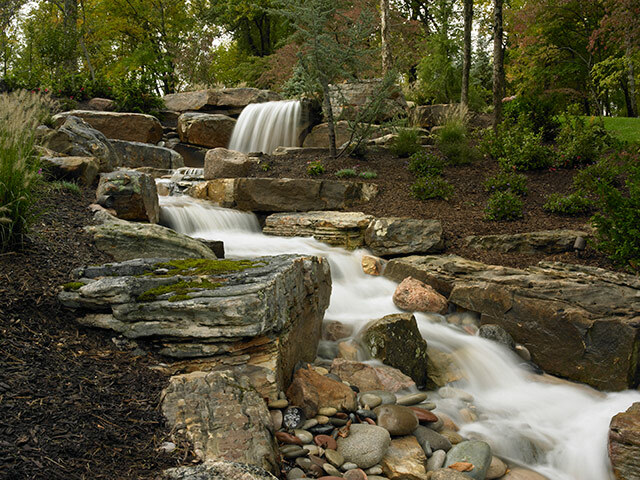 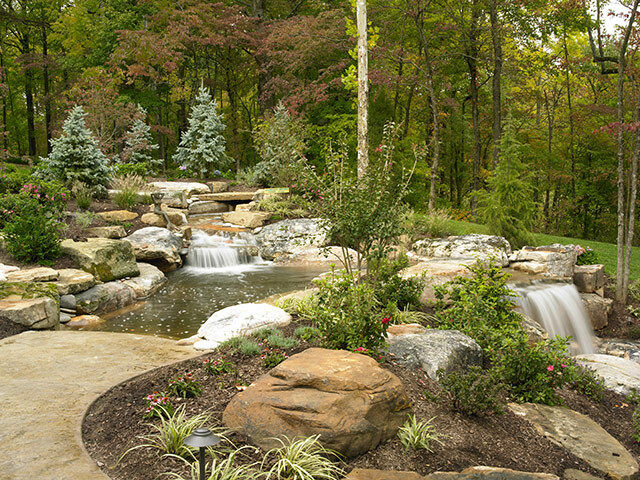 Bring your landscape to life with a natural waterfall by Aching Acres. 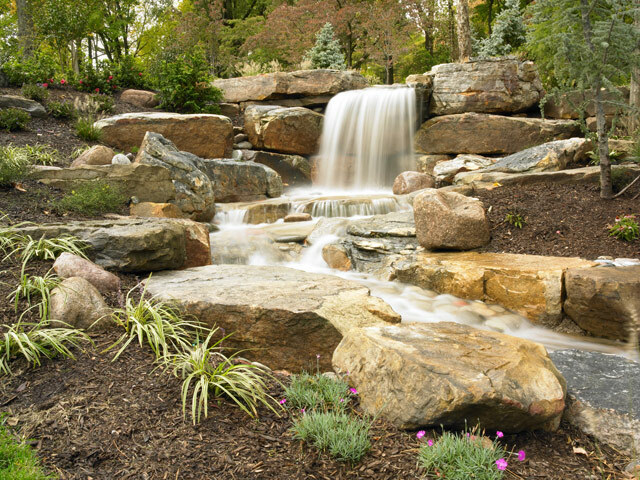 From small patio-side waterfalls to massive 200 foot falls, we have the expertise and experience to design and install your dream. 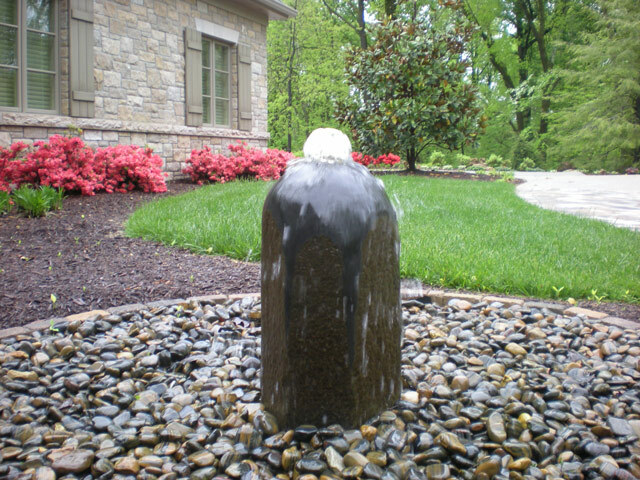 If you're looking a water feature to add character to a smaller area, or just don't want to go with a full-blown water fall, you might consider a custom bubble rock. 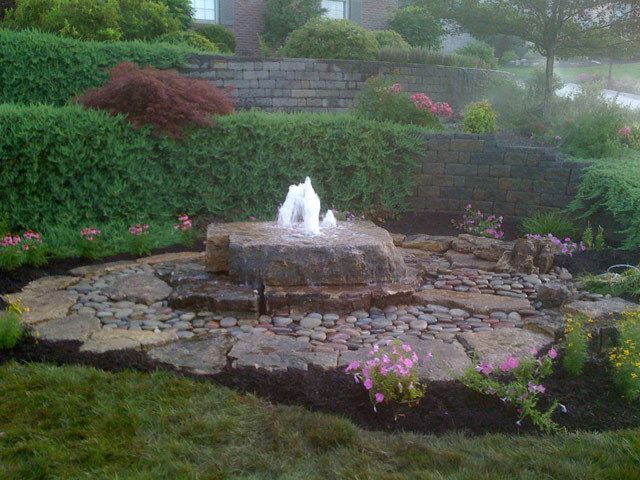 Bubble Rocks make a fantastic landscape centerpiece and can be installed quickly without taking up a lot of room. 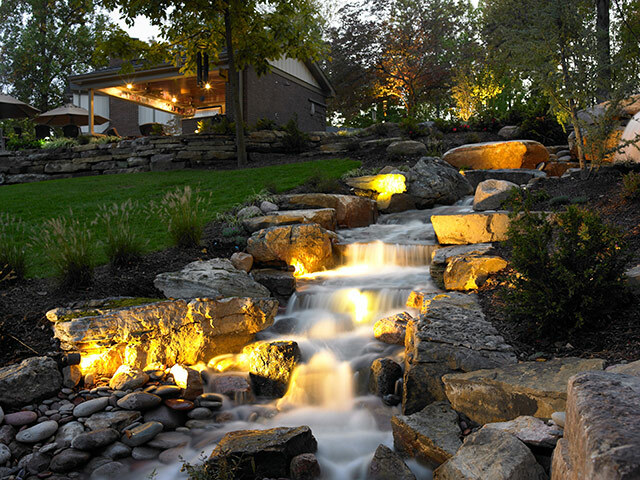 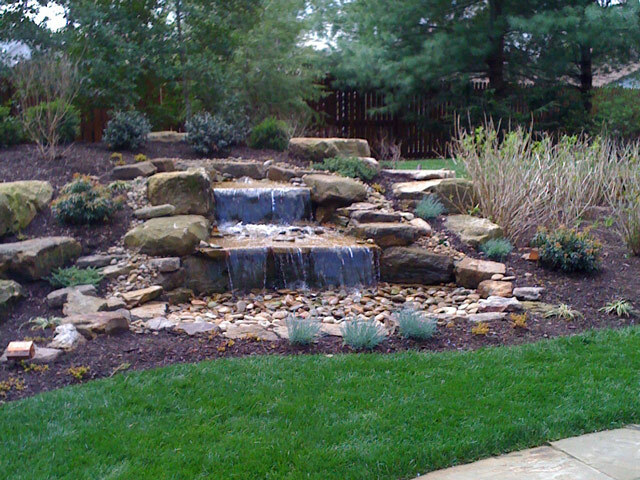 Aching Acres Landscaping will custom design your waterfall to best fit your home's landscape. We have experience with all shapes and sizes of waterfalls. 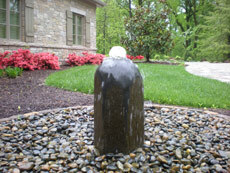 Bubble rock fountains add the element of natural sound to your landscape. Enjoy the smooth sounds of water as you relax.